Probulus Toner is part of a range health and fitness products manufactured by Praxol Enterprises and marketed under the Probulus brand name. 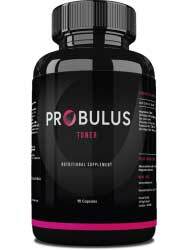 Some Probulus products are alleged to have been specially developed for women. Others are unisex and there are also several supplements aimed at men. Probulus Toner is marketed towards “sporty girls who follow very intense workouts” and is intended to provide them with help during their post-workout recovery time. Quick Comment: If you are looking for a product that can help the fat burning affect we have reviewed many products currently on the market. Before we go any further with our Probulus Toner product review, we feel it’s important to share a discovery we made while visiting the official Probulus website. The company also has a product called ZMA. 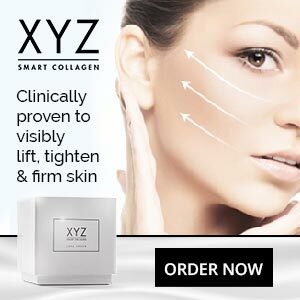 It’s intended to be just for men and, according to the marketing spiel, it the key to getting a healthy body and keeping it in perfect shape. Probulus ZMA is just Probulus Toner hiding behind a different label. The contents of both bottles are the same, so neither product is as gender specific as the manufacturer claims. But that doesn’t mean Probulus Toner will not be able to do the things it’s supposed to do. Let’s take a look at the ingredients and see if the formulation is worth its salt. Magnesium Oxide (1252mg): Research shows there is a relationship between magnesium and exercise. Its presence in supplements is only likely to boost the performance of people who are magnesium deficient, but magnesium levels deplete rapidly during periods of hard exercise, causing magnesium requirement to increase by 10-20%; so a lot of athletes and sports people are likely to find getting extra magnesium into their bodies is beneficial. However, even during pregnancy, when the need for extra nutrients is high, women are unlikely to need more than 360mg per day. The recommended daily amount of magnesium for a woman is 320mg. Each Probulus Toner capsule provides 1252mg. Anyone who takes the recommended two capsule dose will receive a whopping 2504mg of magnesium. This is far too much and capsule users will probably get additional magnesium from their food. Zinc Gluconate (100mg): Zinc is a versatile mineral that appears to help regulate sleep. It’s also a key ingredient in many supplements designed to boost testosterone levels and has proven value in this regard. Testosterone is an important muscle building hormone that is highly regarded within the bodybuilding community, so the presence of zinc should help Probulus Toner to tone and firm the muscles in the promised way. Testosterone also boosts performance and helps the body burn fat, so it could be argued that zinc is the most important ingredient in the formulation. Pyridoxine HCL (3.4mg): This is Vitamin B6. It helps the body extract energy from food and promotes a healthy metabolism. Vitamin B6 is sometimes added to diet pills because it can speed up a retarded metabolism and help the body to burn calories faster. People who don’t get enough Vitamin B6 may experience muscle pain, depression and fatigue. Women only need a maximum of 2mg per day, so the dose provided is too high and a two capsule dose will provide more than three times the recommended daily amount. However, 100mg is the upper limit for a healthy adult, so the amount provided here should still be safe. Two capsules are needed before going to sleep and the usage guidelines stress it’s best not to take the capsules with milk or any other source of calcium. The manufacturer’s website supplies a few customer reviews that are short and sweet and award the product full marks, but reviews supplied by manufacturers are often hand-picked and cannot be relied upon to paint an accurate picture of how products are likely to perform for the average person. Feedback provided by third-party sites is generally more reliable but in this case none was available. Probulus Toner contains an extremely high dose of magnesium. Consuming too much magnesium can lower the blood pressure and cause lots of other complications, so we suggest avoiding using this product without prior approval from a GP. Women who want to buy Probulus Toner can do so by visiting the manufacturer’s online store. It’s also possible to obtain it via Amazon, but this is generally a more expensive way to go. Probulus Toner is sold minus a money back guarantee. Probulus Toner contains a testosterone boosting ingredient (zinc) that should help boost performance, build lean muscle mass, and support the burning of fat. Zinc may also help provide better quality sleep and this will assist the regenerative processes while the body is in a state of repair. The presence of Pyridoxine and magnesium will boost energy levels and further enhance physical performance. 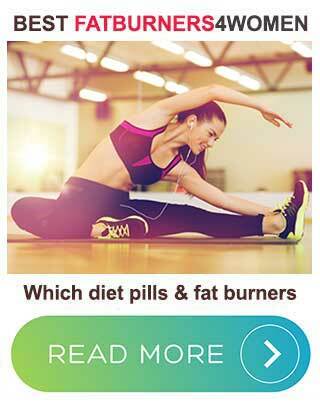 Used with diet and exercise, the pills should improve muscle tone and reduce fat mass. In many ways Probulus Toner has a lot of promise, but there’s a big fly in the ointment. Using this formulation will push magnesium levels up far too high. It also has to be said that, even if the magnesium content was more sensible, Probulus Toner would be incapable of offering women the same level of support as Leanbean, because Leanbean tones the muscles and boosts energy levels and performance. It’s a powerful appetite suppressant as well. The formulation had to be good right from the start because it was developed to support the needs of female fitness models. 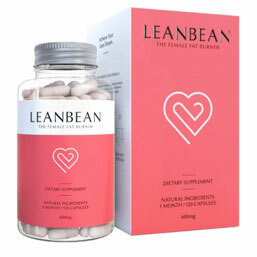 So, unlike Probulus Toner, Leanbean really is a product made especially for girls.